Head over to the WWE PPV stream page NOW! You can now head over to the WWE PPV stream page to watch the Royal Rumble for free. Make sure to refresh the page to check when the stream is up and running. Thank you. – Tonight’s WWE Royal Rumble is officially sold out. – Kofi Kingston and Brodus Clay were two names being considered for the number two entrant into tonight’s Royal Rumble pay-per-view match. WWE Royal Rumble Coverage And Stream! 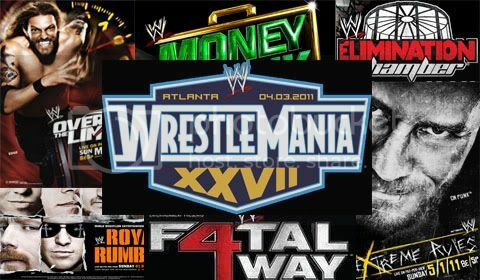 The 2012 Royal Rumble coverage will begin tonight @ 8pm est on this blog. You will be able to watch it live for free, by clicking at the "free PPV streams and replays" tab. There is said to be a major twist planned for the 30-man Royal Rumble match this year, based on the announced idea that every Superstar is eligible to be in the Rumble. As seen on Monday’s RAW Supershow, WWE apparently wrote Zack Ryder out of the storylines for the time being. There had been talk for weeks of keeping Ryder off TV for some time. While this isn’t confirmed, there are now rumblings that Ryder is away filming a movie or some kind of program, possibly for the WWE Network. Ted DiBiase injury update, Major WM match removed! The rumor is that Ted Dibiase has suffered either a broken forearm or wrist, although neither have been confirmed. Tonight’s WWE RAW Supershow will take place from the US Airways Center in Phoenix, Arizona. Tonight’s show is the final RAW before the Royal Rumble.